With over 40 years of combined onsite experience in quality tennis court construction ASTE (Australian Synthetic Turf Enterprises) is the leader in Tennis court installation in Melbourne. We use only the highest quality Australian materials for all types of playing surfaces you may require. Whether it is a single court in your backyard or a series of courts for a sporting club or facility. Our professional consultants will come to you and provide an in depth quote and sound advice to assist you in choosing the most appropriate court type, materials, and colours for you. We also provide tennis court conversion and renovation in Melbourne and Victoria that is unmatched in experience and quality. Our Australian made synthetic products offer higher stability and flexibility of use over the traditional porous natural materials found in old style clay courts. Our dedication to the quality of conversions and renovations is not hindered by the complexity of the job and can be achieved while still keeping within your budget. We guarantee our work is to the highest industry standards. At ASTE we have a surface for every purpose. We offer Synthetic Clay Tennis courts that have been designed to outperform many of the traditional natural tennis court surfaces. Our synthetic clay tennis courts and synthetic grass tennis courts are flexible enough to offer you any colour and design you desire without sacrificing the high quality feel that is associated with traditional tennis courts. At ASTE, we have an unparalleled dedication to providing our customers the highest in quality products to ensure complete satisfaction whether it is for your home, school, business or club. If you are looking to resurface existing synthetic grass tennis courts, we can help. We specialise in examining your existing surface and helping you decide the best options for re-constructing and designing a surface that meets your requirements and needs. You may be able to save costs by choosing to re-work and re-surface an existing court. This will depend on the quality of the existing base and surface. Both options are available and will create the look of a brand new tennis court. We can also make your tennis court a multi use and multi line sports area if you desire. Many are apprehensive of adding to or changing an existing tennis court surface because of the high cost associated with these works. 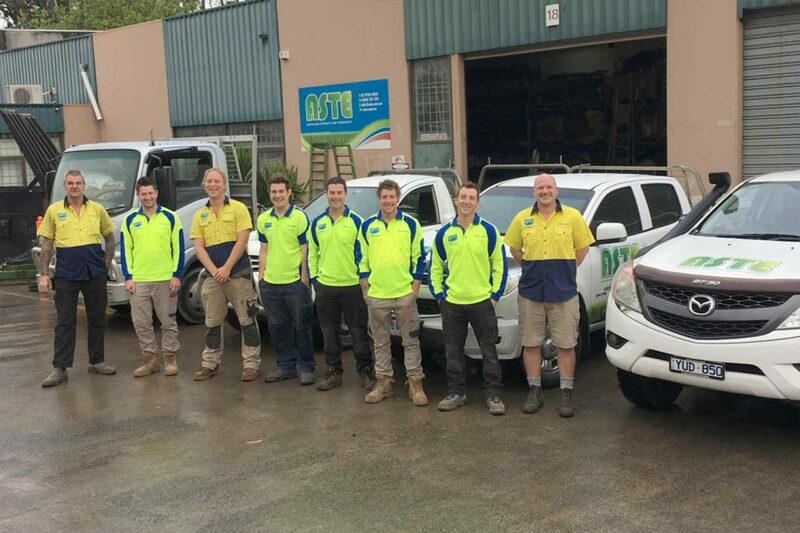 However, at Australian Synthetic Turf Enterprises, we strive to always offer you the highest quality and professional workmanship while keeping within your personal or commercial budget. The most popular service we provide is synthetic grass tennis court construction and resurfacing synthetic grass tennis courts. It is important to weigh up the cost and usage when considering your new tennis court. If the court will primarily be used for training or competitions then investing in a higher quality court surfaces should be a consideration. If you are a recreational player the construction of a domestic grade synthetic grass tennis court and or resurfacing would be ideal. We understand budgets and work with you in this regard. Home tennis court construction cost need not be too high without sacrificing quality and useability. Synthetic Grass tennis courts are a popular option due to their durability and Multi use functions. Traditionally natural porous surfaces were used but offered limited usage options and need constant maintenance and repairs which prove to be costly over the long term. However, synthetic grass and synthetic clay products have become a more economical option, severely reducing the costs and time associated with maintaining a traditional tennis court. Acrylic Tennis courts or hard courts are another preferred option. The acrylic tennis court construction prices and costs are higher than that of synthetic grass and clay courts but offer a faster playing speed. En Tout Cas / red porous tennis court and porous tennis court conversion by ASTE is a highly sought after service we offer. ASTE is a market leader in the conversion of red porous tennis courts to synthetic grass and Artificial Clay tennis courts, and one of only a few companies in Melbourne who know how to complete these works to a high standard in the long term. We have the knowledge in house that others do not. Beside the longer lasting and higher flexibility that is offered with our synthetic products, converting an old tennis court to a synthetic grass product will reducee the cost and time involved in maintaining a traditional surface but also eliminate the need for watering the court giving environmental benefits. It is also not as expensive and far more user friendly (less impact on your body joints) than building on a concrete base as others say you must do, that is not the case, they just do not have the knowledge or ability. Just a quick note to say thanks for the great work you have done at Burwood, Deepdene and Bluebell Hill in replacing the old dust bowls with Euro and Classic Clay respecitively. You worked so hard to reduce the amount of down time which took a lot of pressure off our coaching and competition scheduling. The courts have come up great. The bounce is true and fair for all games styles and the drainage is awesome. It is so good not to have to worry about water and dust and to have clean shoes and brick-dust free eyes and nostrils at the end of the day. As a coach and through our new consultancy firm Tiebreak Consulting we will be recommending your product and work ethic to all concerned. It is so good to deal with someone personally involved in the project and with such a relaxed and positive attitude. With water restrictions we were unable to maintain our en tout cas red porous tennis court and so decided to convert to synthetic grass. The best decision we ever made! The synthetic grass is a fantastic surface and the whole family now use the court nearly everyday for all sorts of games. ASTE were competitive in price and professional and courteous right from the start. Alan explained what needed to be done and also stepped us through why. After comparing quotes and speaking with rep’s from a number of companies we felt confident that ASTE were professionals who really knew their stuff and provided by far the best value. The job was started and finished on time and right throughout the works we were kept informed of the progress. All the guys who worked on the job were really friendly and reliable and the results were fantastic. We recently sold our house and the fantastic tennis court added real value to our property. When we move into our new house, the Team from ASTE will definitely be the company building our new tennis court! ASTE is widely regarded as the industry experts in the conversion of Club and Private Red Porous Clay Tennis Courts to Artificial Clay and Synthetic Grass Tennis Courts. We are regularly told by both club and private clients that our ASTE bases result in players being able to play more sets before joint fatigue sets in and that recovery time for joints and muscles is much faster. This coupled with a fast draining court requiring minimal maintenance leaves more time to enjoy and develop your game. We use the original and the best ‘Classic Clay’ and ‘Euro Clay’ installed on ASTE constructed porous scoria bases as per the courts these products are intended to mimic. Since 2003, Alan Stevenson and his team team have been providing Melbourne with exceptional sports surface design and construction services. You get a friendly approach from our team and a personal commitment to delivering your project on time and within budget.